I don’t know if dare is the right word, but my friends over at Tikkido (check them out if you haven’t already) encouraged me to try this after a volley of Ben and Jerry’s ice cream-inspired cookie bars they wrote about (HERE and HERE). For the brownies, I considered freezing them, but I wasn’t sure how that would effect the cookie dough’s baking. I opted instead to bake a thinner brownie, somewhat underdone (taking into account the extra cooking time as part of the cookies) and tried very hard to not destroy the chunks as I mixed them into the cookie dough. Instead of stirring or folding, I chose to tuck the chunks into fissures I would make and later reseal in the dough to keep the integrity of the chunk shapes. 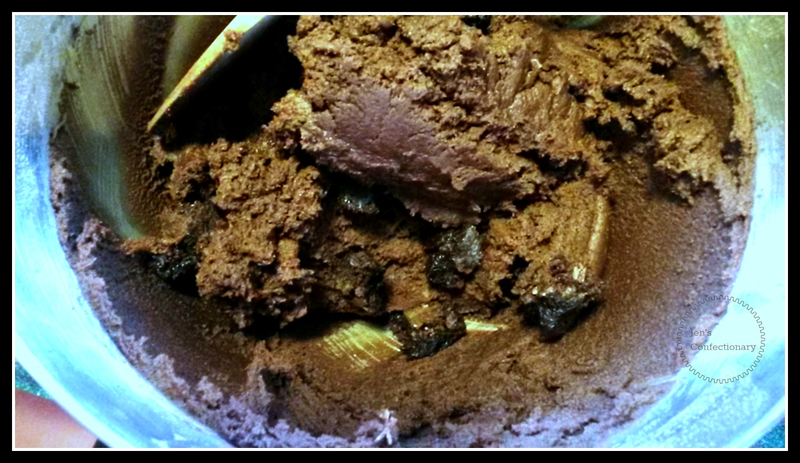 I picked a chewy chocolate cookie batter designed to hold chips and substituted half the butter for coconut oil. This may be the first time I’ve tasted a cookie batter and exclaimed “Holy Sh8t!” spontaneously. 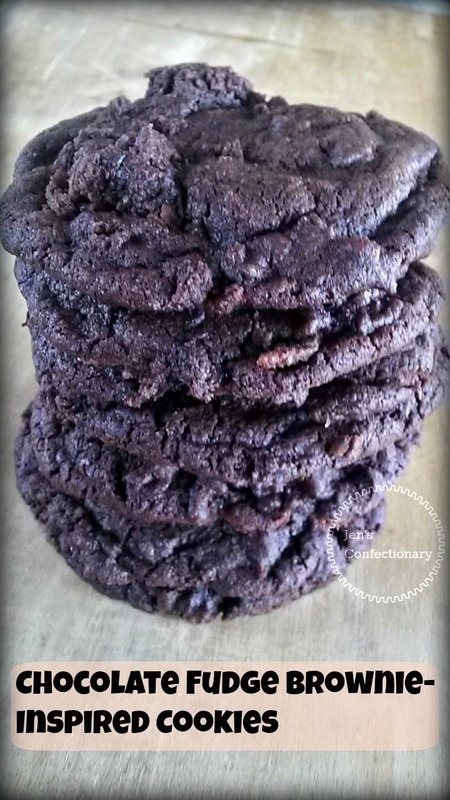 This entry was posted in Cookies and tagged Brownie, Chocolate, Cookies, Fudge. Bookmark the permalink.